I’m very excited to introduce our first Featured Teacher here at Teach Nomadic as we begin highlighting the amazing online teachers that make up our community. Wherever you’re at in the world, we know you’ve got a story that should be heard! 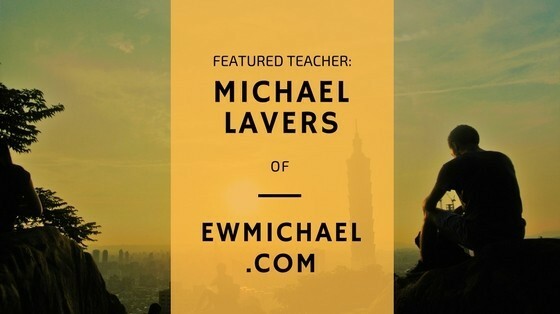 First up is Michael Lavers from ewmichael.com. 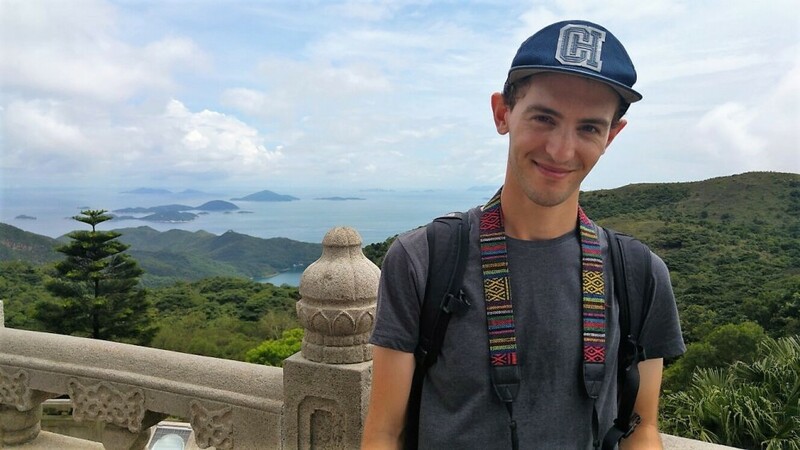 I had the pleasure of connecting with Michael online before he joined Teach Nomadic, and he’s here to share his story with us about how he’s created his location independent lifestyle by choosing to teach online. Teach Nomadic: Hi Michael! Glad to have you here to share your story with other online teachers. Could you tell us a little about yourself and what you did before moving online? I’m from Cornwall in South West England where I worked as a gardener for 6 years. Before teaching, I was working as head gardener/cremation technician at a crematorium here. The stress of having two (!) difficult job titles caught up with me and it led me to quit and travel alone for the first time around Asia for a few months to clear my head. TN: Yea, I think it’s important to remember the positive things that can come out of high-stress situations like that. I was just listening to one of Tim Ferriss’ most recent podcasts and that was his exact suggestion for maximizing well-being and developing perspective, and it looks like you figured out the benefits of solo travel on your own! 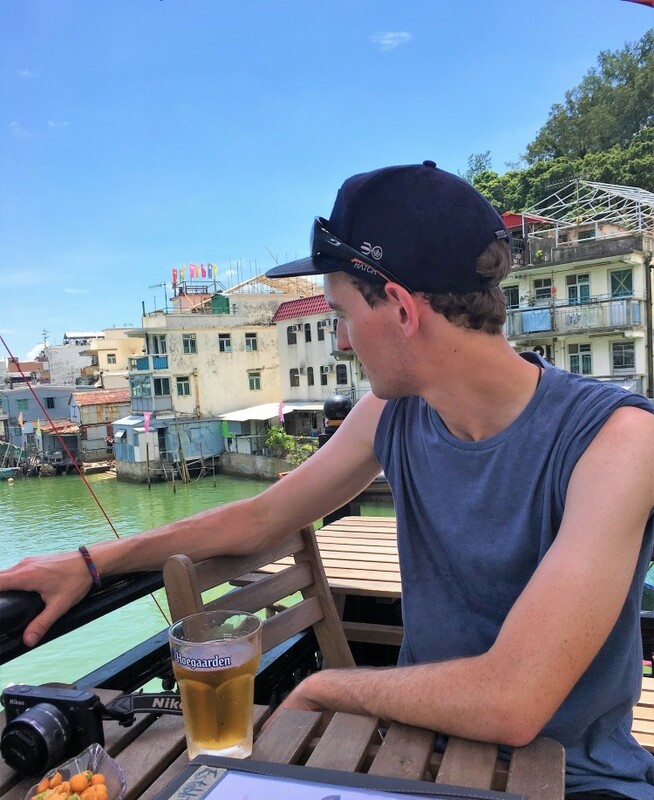 Having a drink in the old fishing village of Tai O in Hong Kong. Can you tell us if it helped and if it influenced your decision to start teaching online? When I went traveling I came to realize how small my previous world was compared to what’s out there. The thing that stood out to me most was how much I enjoyed communicating in other languages – or even just my native English! This is when I decided to kill two birds with one stone and start teaching online so I can do something I’m passionate about as well as having location independence to travel. TN: We definitely have that in common-currently trying not to forget my Spanish! How did you find or create your online teaching job? After receiving a basic TEFL certificate, I first started by signing up to a few tutoring websites (Preply, Superprof) and before I knew it I was inundated with new students. Meanwhile, I had been building my own website and I eventually made the switch so most of my students now book through my own site. TN: That sounds great! Some similarities for us there as well: I started on Italki and then started my own online teaching site. So, how do you fund your travels? Is it solely through teaching online or from other sources as well? Although I’m not traveling at the moment, any travel money is gained through teaching and also a couple languages courses I have online. It’s not always a lot but I’m a frugal traveler. TN: I’m with you there! You definitely don’t need much to feel content while traveling, and you can experience quite a lot with much less than people think. Let’s talk a bit about the experience of teaching online itself. We could probably swap these for hours, but could you tell us a funny story from one of your online classes? One of my students is a nurse from Japan and in our first lesson, she told me about a time when she had to remove a tapeworm from someone… in graphic detail. I didn’t stop her because I supposed it was good practice for her trying to explain it to me, but I did have to resist the urge to throw up in my mouth! 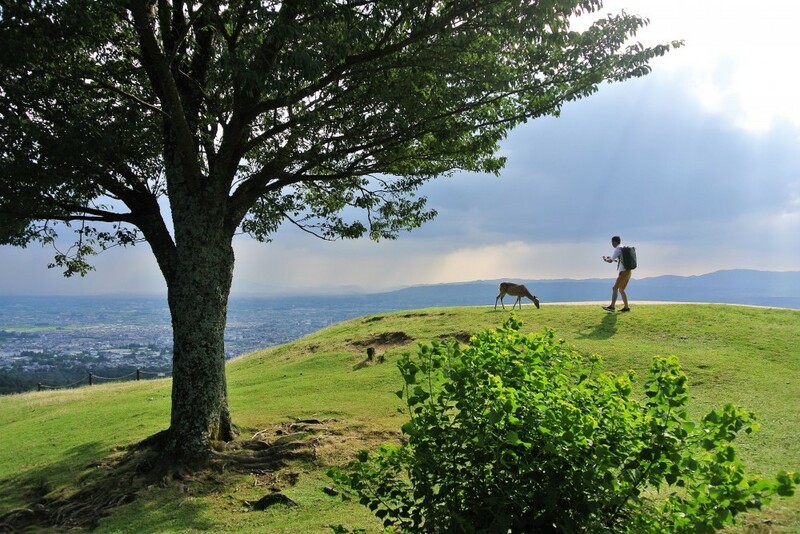 Nara, Japan with one of the famous and friendly deer. TN: I can imagine! My hat’s off to you for sticking it out, though! Getting a bit deeper: How have your travels changed you as a person and specifically as a teacher in the online world? As a follow-up question: what does teaching online allow you to do that teaching in a classroom setting doesn’t? On a personal level, before I went traveling I was incredibly shy, and I wouldn’t even Facetime my friends because I was too nervous to be on webcam. Travelling forced me to open up and become a better conversationalist. Teaching online helps a lot with this because it’s constant one-on-one conversations, which I think is one of the biggest benefits for students. They get lessons tailored just for them, and I can feel proud watching their progress. TN: That’s great that you’ve found it to be a rewarding experience for both you and your students! They might not even realize they’re helping you at the same time you’re teaching them, but there’s truly a positive outcome for all involved. To wrap it up, could you leave us with one tip, motivational quote, resource, website, book, or podcast you’d recommend to other teachers? What’s something you would have done different starting out? My main tip for starting out is to first, host yourself on a couple tutoring websites and start out cheap. Once you have loyal students raise your prices and move them over to your own website. From then on it’s important to stay incredibly organized! Thanks very much for stopping by and sharing your story with us, Michael! I look forward to seeing where your online teaching and travels take you. Have a question for Michael? Leave it in the comments below or get in touch with him at ewmichael.com! This entry was posted in Featured Teacher and tagged teach and travel, teacher story, teachers who travel. Bookmark the permalink.